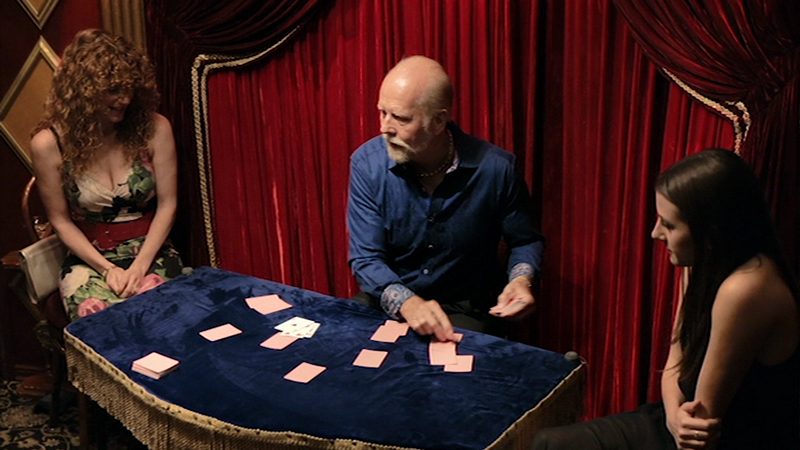 iIa a slick intro mixing card tricks with archival media appearances, and a look at one of Richard Turner's performances at Los Angeles' famed The Magic Castle, director Luke Koren quickly establishes his subject as a charismatic and remarkably talented card mechanic (Turner's preferred title), able to perform sleight of hand techniques with a deck of playing cards that would be impossible to most. But as you watch him ply his craft and hear from several of his colleagues and admirers, it is made clear that his magical ability might be more impressive than it seems, as Turner is completely blind. This is the core of Dealt as we learn about Turner's life, including how he lost his vision (he could see as a child) and his growth in the field of card tricks, as his obsessive desire to improve his skills pushed him further and further. We also learn how this affects his relationship with his family, including his sister (who also lost her eyesight), and his wife and son (whose name--Asa James Spades--says everything about Turner's obsession). Turner also displays a sensitivity to being referred to as blind, a hang-up that is part of a picture of a man who can certainly be difficult to deal with (no pun intended). As Turner was something of a media curiosity in the ‘80s, there's a lot of good footage of him (as well as his young son), from shows like That's Incredible!, which Koren puts to good use here in establishing the story efficiently, instead of having to rely on a bunch of talking heads to tell the tale. That leaves open space for plenty of the visually-impressive sleight of hand Turner can show off, along with depictions of how he is surprisingly able to cope with his blindness--his black-belt test among the highlights--while also showing moments of weakness, softening his gruff, out-of-the-spotlight personality. With his stage persona, Turner's not hard to like, but that's not the whole picture. While Dealt gives a great look at an interesting guy, chronicling Turner's life from childhood to his later years as an adult, and there's plenty about him to pique and keep your interest, the film is a bit light on narrative. At the point of the film's production, though there's a minor late storyline about his hopes to win a magic award that's eluded him, Turner's already been a star and is lauded by his contemporaries, so the film's main purpose is to remind people of someone who was once a media darling, and tell his impressive, yet little-known tale. There's nothing wrong with that, as many great documentaries are solely looking back, rather than being in the moment. It just feels like without a solid through line, it can float a bit at times, and lacks a truly satisfying conclusion. Dealt arrives on one DVD, which is packed into a clear standard-width keepcase. The disc offers an animated, anamorphic widescreen menu with options to play the film, select scenes, adjust the set-up and check out the extras. Audio options include English Dolby Digital 5.1 and 2.0 Audio Description--done by noted accessibility advocate and voiceover artist Michelle Spitz--while subtitles are available in English SDH and Spanish. 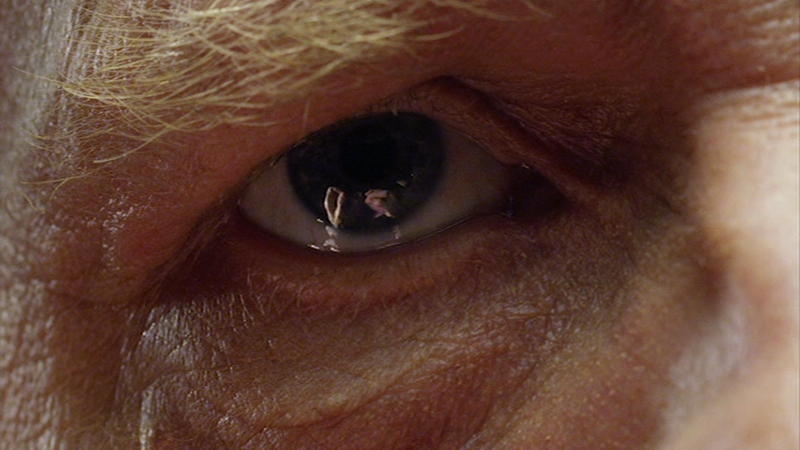 The anamorphic widescreen transfer is really quite beautiful, showing off the work of Koren and DP Jacob Hamilton well. There are a lot of up-close shots in Dealt--highlighting the close-up magic and card mechanics--and the detail is fully evident on the screen. EVen when it comes to the frequently-used archival footage, the film looks solid, with appropriate color and no notable issues with either dirt and damage or digital distractions. A fine presentation overall. The Dolby Digital 5.1 track is most present when it comes to the film's music and score, which spreads the audio out to the surrounds more and gives the low-end something to do. The rest of the time, it's a pretty standard documentary presentation, as the voices are clear and distortion-free, with some minor atmospherics to round things out. There are five deleted scenes available (running 10:31) to watch (separately or with the play-all option). These include Turner mentoring a fellow blind card magician, talking with his sister about looking at people, shooting at a gun range, teaching a card mechanics class and going for a mani-pedi with his neighbor (important to his work). None of it needed to be in the film, but they are worth a look nonetheless. 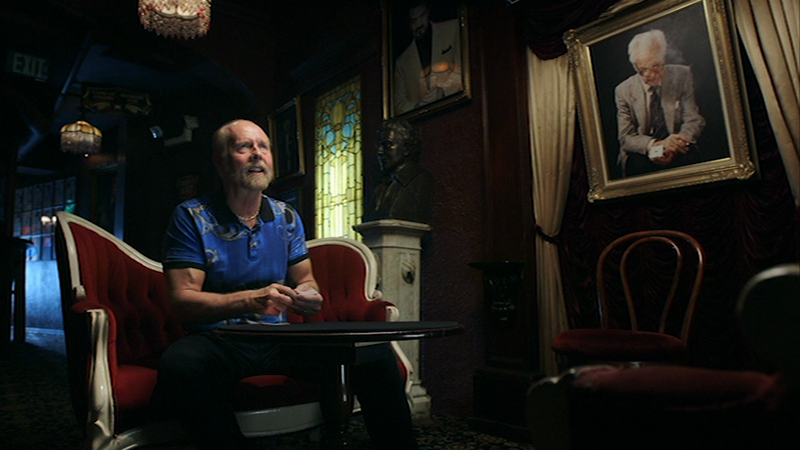 "Magicians & Mechanics" is a 7:45 featurette that simply lets magician and mechanics (including the legendary Johnny Thompson) show of their tricks. It's fascinating to watch them at work, especially when they slow it down for the cameras and you still can't tell how they did it. The talent on display here is just wonderful. A 2:05 trailer is sure to make people want to watch this film. 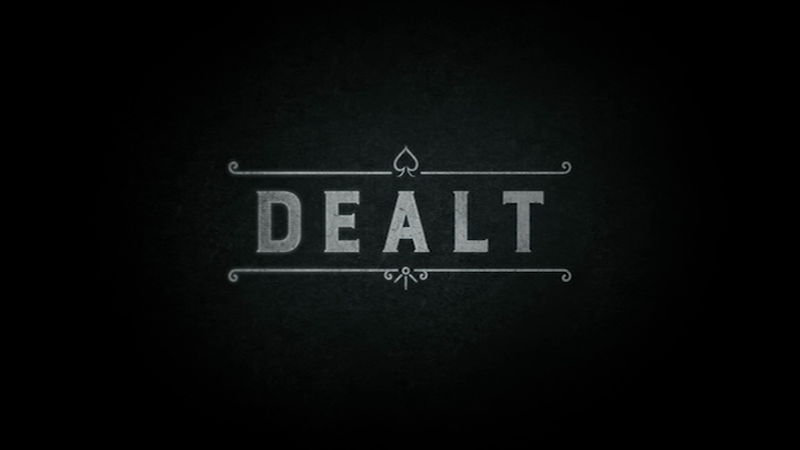 If you have any interest in magic or humanity's ability to overcome its limitations, Dealt is an engaging film, as Koren has told the tale of Richard Turner with style and an abundance of visual flair, even if the story peters out late in the game. The DVD looks and sounds quite nice, and includes a few solid extras--especially the featurette--to add to the experience, making it well worth checking out, even if it struggles to get over the finish line.